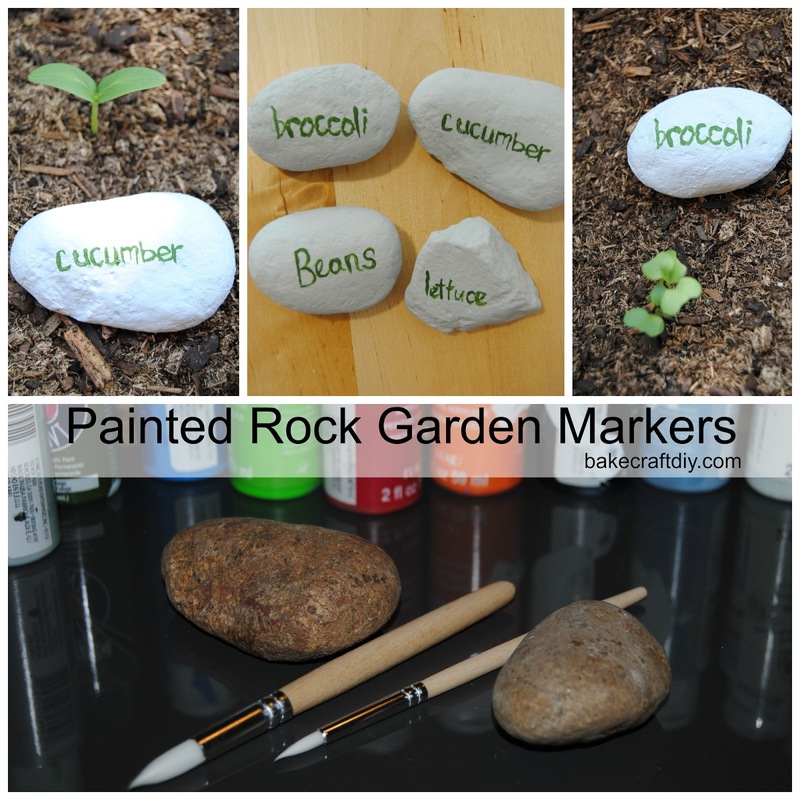 I recently started gardening and decided I should make markers for the garden so I knew where I planted all my vegetables. 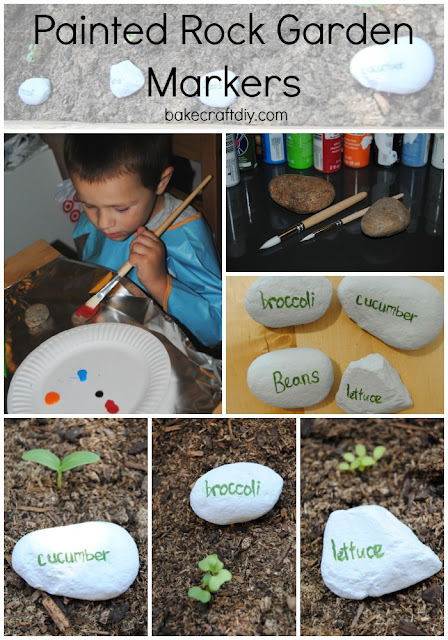 My son found all the rocks we would need on a nature walk and he got to paint a few and I made some simple painted rock garden markers. Paint all the rocks a solid color of your choice, then allow the paint to dry. If needed add a second coat of paint. 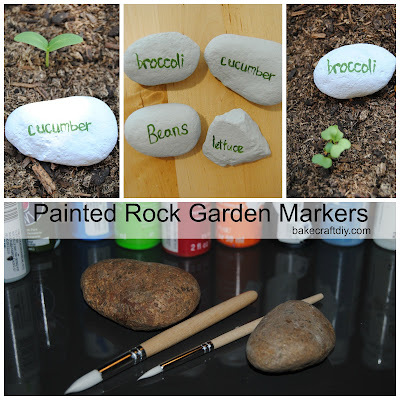 When the paint is dry, painstakingly attempt to write the name of each vegetable onto each rock. Allow to dry then set them out at the beginning of each of your vegetable rows. If it rains where you are you might consider adding a protective coating. I wish you lots of luck in your gardening endeavors. Our garden is at almost a complete standstill due to gnats, if you have any ideas on how to naturally get rid of them I'd love to hear them in the comments because they are taking over my garden box!